When you ask a user what they want most from a smartphone, the answer is likely to involve it looking and feeling more like a mobile phone. The M600i satisfies both these requirements. It has a large colour screen with a hybrid keyboard underneath. Data entry is performed either by pressing the keys to the right or left, or through handwriting recognition on the screen. The keyboard actually works better than you might imagine at first glance, with a powerful predictive text engine, though it favours those with dainty fingers. The same goes for working with the 2.6-inch screen. If you have large handwriting, then you won't get many words on the screen. Synchronising with your PC before you leave the office, and then using it for reference and quick messages, is the best way to make the most of the device. That said, the implementation of the Symbian operating system on the device is very well done, with most features available in one or two clicks. The use of Sony's Jog-Dial makes working through menus very fast, so finding the details you want to look at can easily be accomplished with one hand. 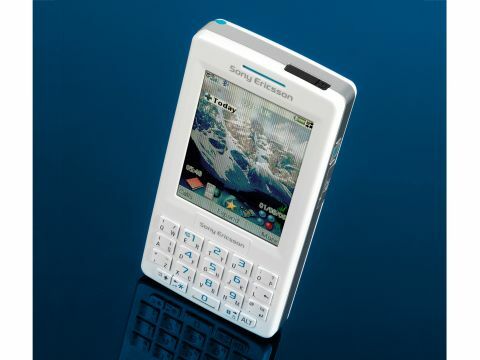 Less of a multimedia device than other Sony Ericsson phones, the M600i doesn't have a camera, though in true Sony style it does have players for music and videos and can cope with most email attachments. Speaking of which, email is very well implemented allowing for POP3 and BlackBerry emails through either GPRS or UMTS. The phone has 80MB of built-in storage and a 64MB Mini-Memory Stick to allow a large number of emails, or a small number of multimedia files, to travel with you. If size is a priority, then you'll certainly be drawn to the M600i. We were impressed with how well it handled and it bodes well for the future.